Via Motors Hybrid Pickups: The End of Manliness? 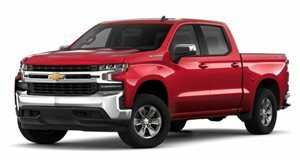 It's basically Chevy Volt technology in a full-size pickup truck. Pickup trucks have always been associated with manliness. It’s just a fact. Yes, plenty of women also love trucks, but the association between men and pickups is more clearly defined. Now a new automaker called Via Motors is ready to start adding electric powertrains to pickup trucks and vans. The US company previously unveiled an 800 horsepower, four-wheel-drive pickup called the X-Truck at last January’s Detroit Auto Show. Via Motors isn’t a pure EV automaker. It adapts vehicles such as the Chevy Silverado with a plug-in electric powerplant. The gasoline engine remains, but it now gets maximum range. The Utah-based company will begin production next year thanks to a new $20 million contract with several commercial fleets in the US. The plug-in hybrid system allows the full-size truck to have up to 40 miles of range on full electric power. The truck’s gasoline engine can also be used to recharge the batteries. So basically this is Chevy Volt technology in a pickup.